Moses N Collins, born in Brentwood, NH in 1820, was a resident of Exeter when he enlisted to serve for three years. Mustered in on 26 Aug 1862 as major of the 11th New Hampshire Infantry, he was subsequently appointed to Lt Col two weeks later. He was killed in action during the Battle of the Wilderness, 6 May 1864. 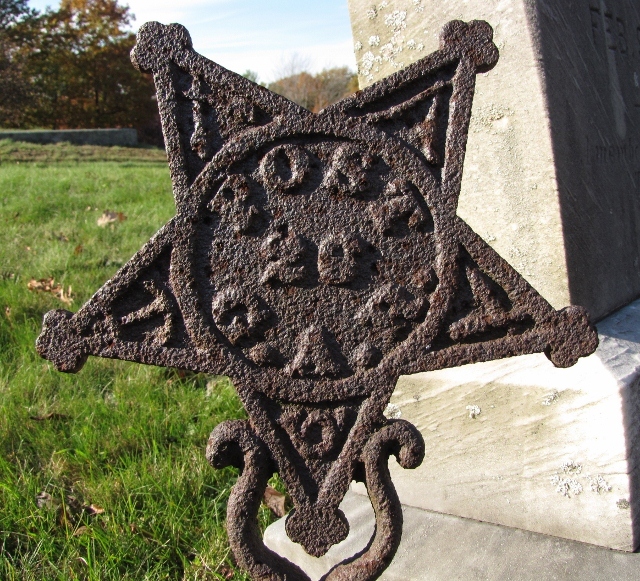 The "History of the Eleventh NH Infantry", written in 1891, states that Col Collins body remains buried in the south, on the farm of a Mr Ross. Post 26 was instituted on 28 June 1870, and held their meetings in the GAR Hall on Court St in Exeter, NH, on the first and third Fridays of each month. There was also a Woman's Relief Corps, #36, started in 1886, as well as the Sons of Veterans "Lt George S Cobbs Camp, No 28", started the year before. They also met in the GAR Hall.